We combined these two stunning jewelry trends to make this Split Choker with Roman Date, an unforgettable statement piece you can wear to dress up any look. 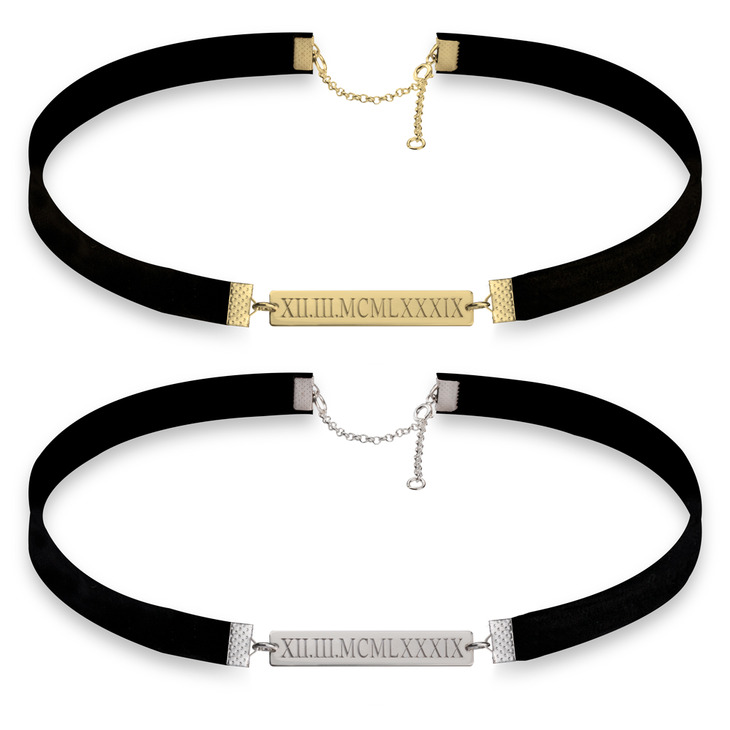 We will custom engrave your very own choker necklace with roman numeral date on a sleek bar in sterling silver, or plated in 24K gold or rose gold. Fastened on this unique split style velvet band, this fashion-forward choker necklace mixes unparalleled quality with red-carpet ready elegance. Buy yours today, and enjoy free international shipping!